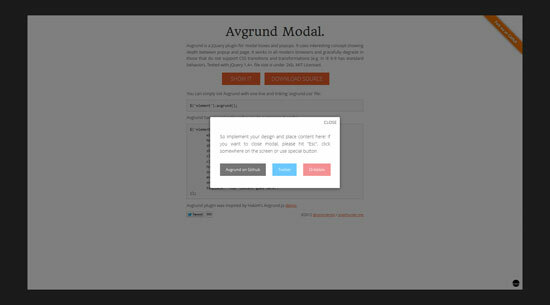 jQuery modal dialog boxes are great way to show alert, notice, information, errors, modal popups, modal windows or dialog. Earlier I had posted about 10 Free jQuery Photo Gallery Plugins, jQuery Plugins to create Pinterest like layout and jQuery Instagram Plugins. So in this post, I have gathered 10 Best and jQuery Modal Dialog boxes plugins which can be easily integrated in your website and also makes modal window look cool and stylish. Enjoy.. 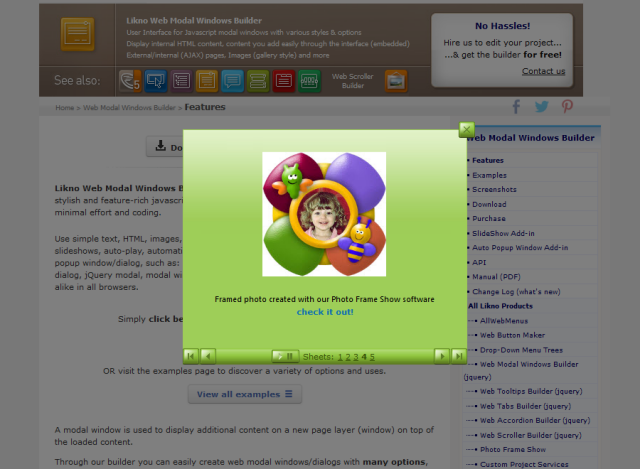 Extremely customizable modal window plugin for jQuery with 139 lines of code, written specially for programmers. jQuery Impromptu is an extension to help provide a more pleasant way to spontaneously prompt a user for input. More or less this is a great replacement for an alert, prompt, and confirm.